Lucy lives in Sonoma County, California. She is mainly self-taught, with some formal training including classes with Mary Jo Koch. She exhibits in the Sebastopol Gallery and Calabi Gallery, as well as annually in Art Trails, the juried Sonoma County Open Studio art tour. Her work was purchased for the Permanent Collection of the Special Collections and Archives Department at the McHenry Library at UCSC. 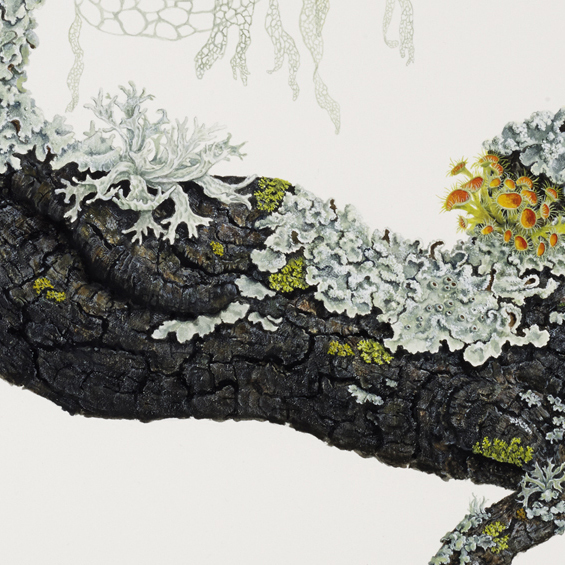 She has exhibited in international shows of the American Society of Botanical Artists and solo shows at the Library at the San Francisco Botanical Garden. Visit her website at www.lucymartinart.com.